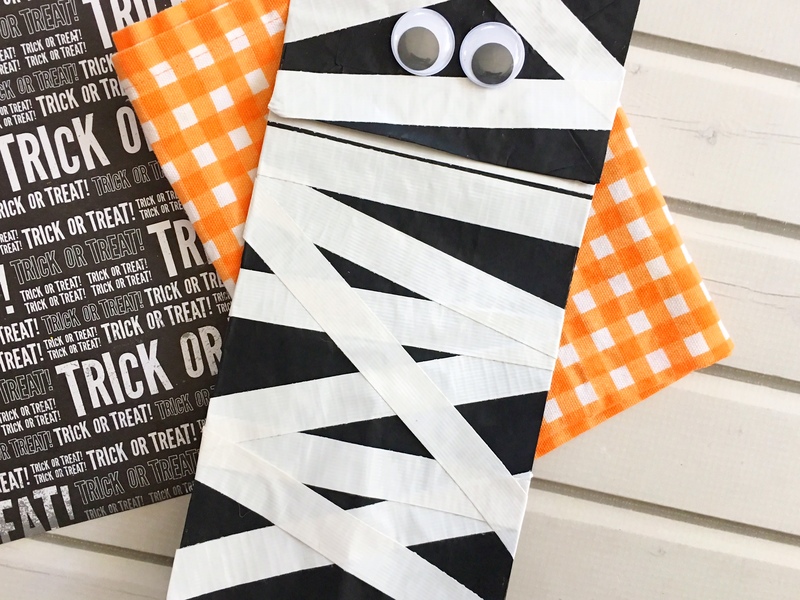 Today I have a fun Mummy Craft for Preschool or Kindergarten!! Mummies are spooky and fun. 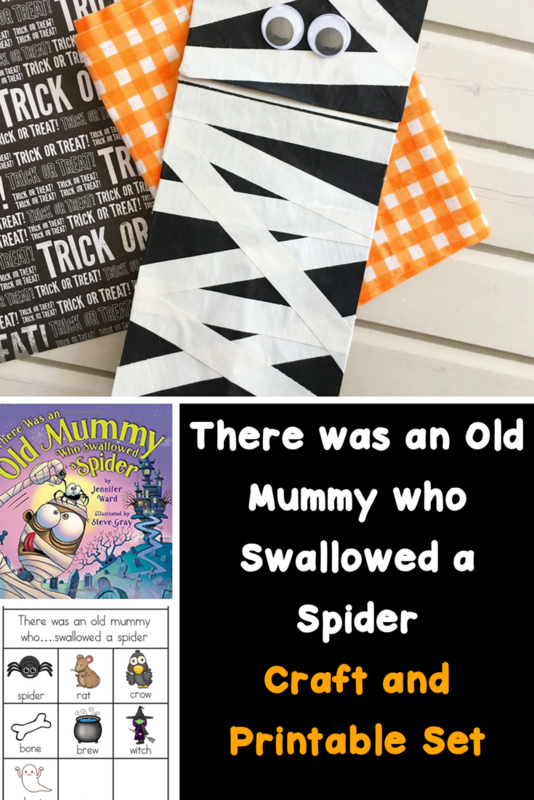 Today we have a craft and activity to go along with the book …this craft goes great with our There was an Old lady Craft and printables OR it goes great with the book “There was an old mummy who swallowed a spider “. My children absolutely LOVE to read “There was an old…” books. The books a great for helping teach sequencing (and memory skills!). 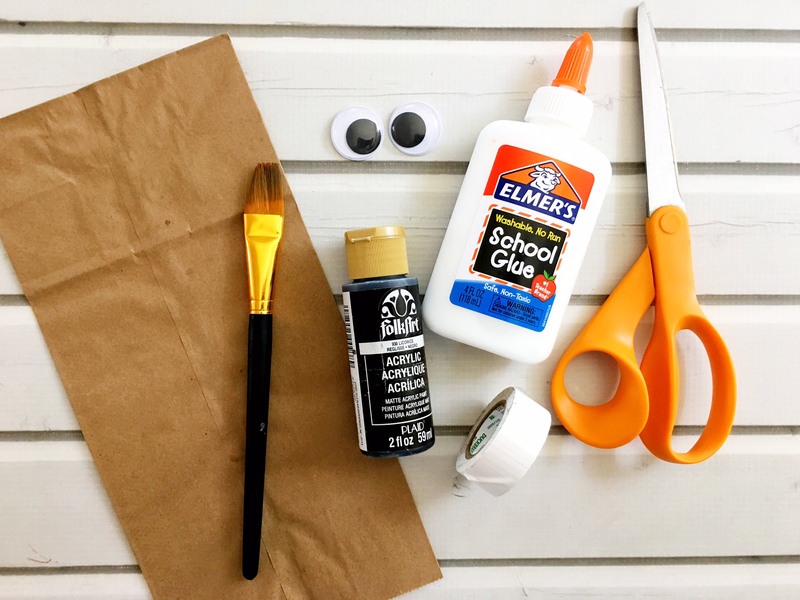 So…without much ado, here is the book that works well with this craft! 1. Lay out a piece of newspaper or scrap paper before you get started. 2. 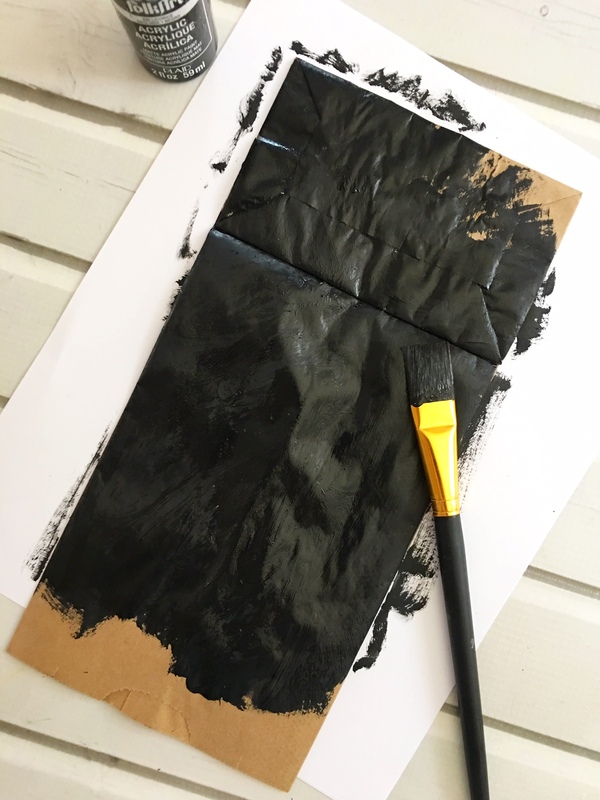 Paint your paper bag black and let dry (the side with the bottom flap). 3. 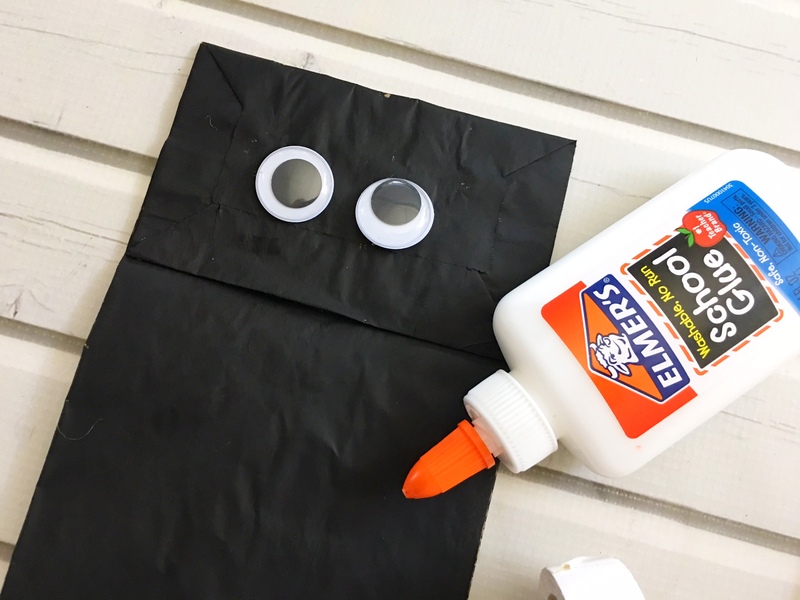 Turn the bag upside down and glue the eyes onto the center of the top flap of the bag. 4. 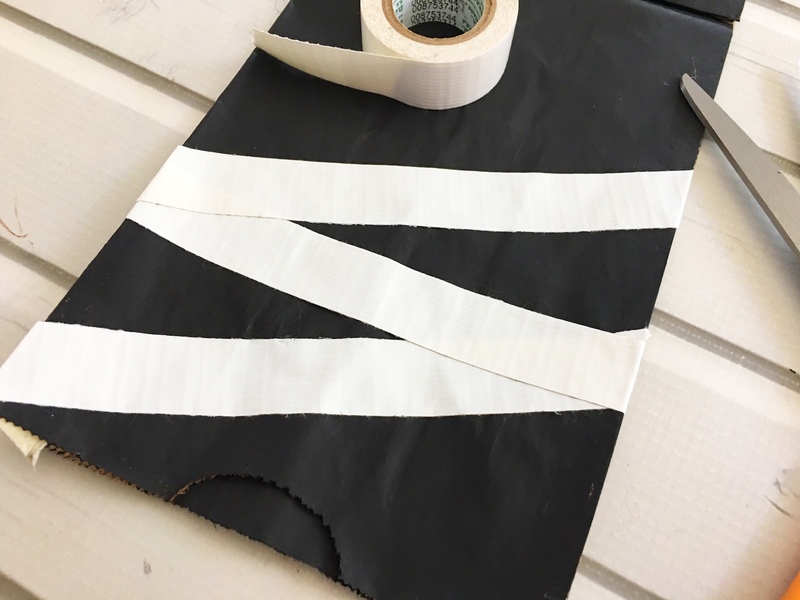 Cut about 11 pieces of tape and stick to the black bag in a criss cross pattern to look like a mummy. 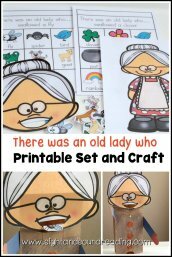 You have your fun, easy mummy craft for preschool or kindergarten! 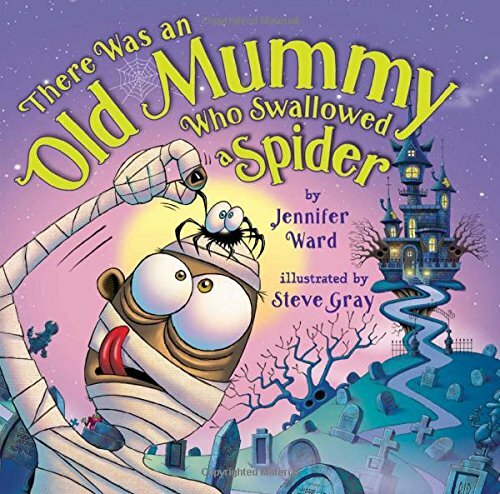 Now, you can also put a whole in the bag and have the mummy swallow a spider, rat, crow, bone, brew, witch, ghost and….you….like in the “There was an Old Mummy Who swallowed a spider” book. If you liked this post, you will like..